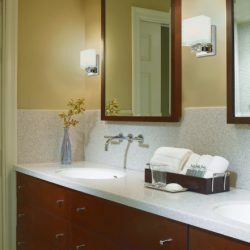 Wall sconces are extremely versatile lights. While they are frequently meant to add flair to a room, they’ll also serve very functional purposes. So, they are a great choice to add everywhere in your home. 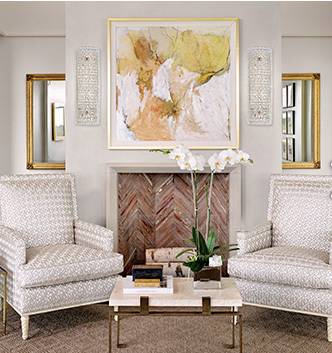 Where you hang your sconces will depend on the lighting design you want to create along with the area in which you’re working because they can be used for ambient lighting, task lighting or accent lighting. 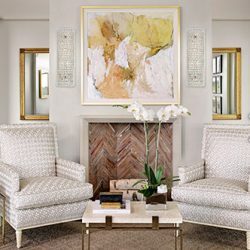 If you’re working in a considerable space, such as a living room, you may want your sconce to add to the room’s overall lighting – or ambient lighting. If this sounds like the case, your sconce will work best when paired with a kind of overhead lighting. 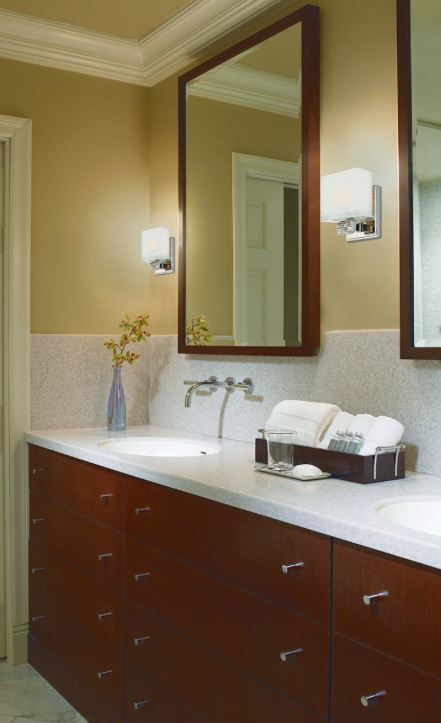 Place your sconce, or sconces, where the overhead lighting is not going to reach. If you’d like to feature something unique in a room, such as a piece of artwork or a guitar, wall sconces can also be used as accent lighting to guide people’s attention towards those special items. 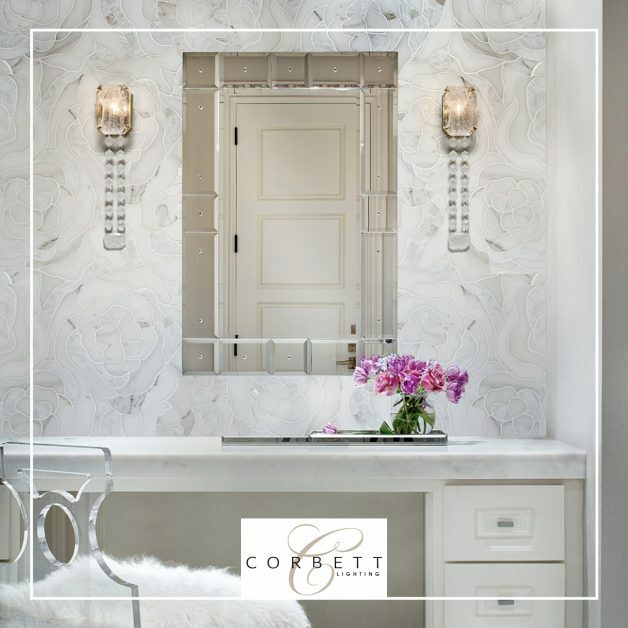 To create some nice balance, buy a couple of the same sconce and hang them on either side of the item you wish to highlight, as shown in the Corbett Lighting example at the top of this article. 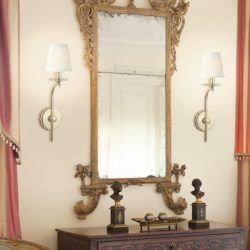 Sconces can also be used over couches, tables, bedside tables or on either side of a bathroom mirror as task lighting. When doing so, it is important to hang your sconces in the perfect place, as you want to ensure that the shadows they cast don’t get in the way of your ability to complete your tasks. Consult a lighting professional to help you hang your sconces. 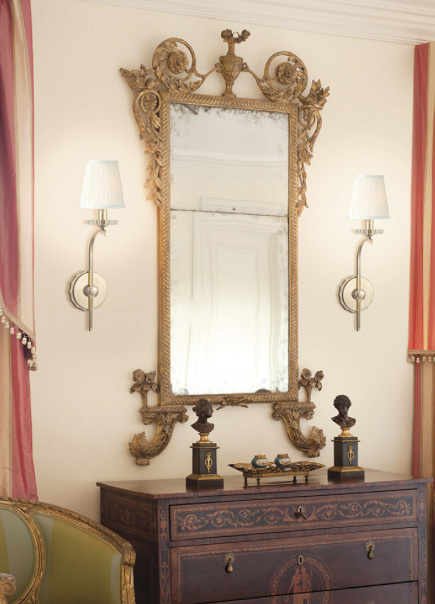 Visit Hermitage Lighting Gallery to learn more about how wall sconces can fit into your lighting plan.